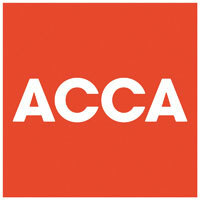 One of our core services is the preparation of final year accounts. At Accountancy Matters, we aim to build a close relationship with you and your business. We don't see our role as simply taking your books and records from you once a year to produce your accounts. Our approach is to communicate regularly with our clients throughout their financial year so when we are preparing your annual accounts, we are not only advising you on the past and present, discussing any issues that have arisen but also identifying areas for support going forward together with future plans that may affect the accounts and tax position of the business. The level of accounts preparation depends on the size and complexity of your operation. We can turn comprehensive, internally prepared accounts into statutory documents, or you can outsource to us all or some of your functions, for a fully professional service. Outsourcing your accounts preparation frees up your time to allow you to concentrate on running and developing your business. Our staff are trained in a wide range of financial software packages and are on hand to provide help and assistance to all our clients.